Burning calories the right way is not as easy as it sounds. When I started my fitness journey I did all the wrong things because I was following random workouts from bodybuilding magazines. In other words, I was just like the hundreds of people at the gym every week: the chick who’s there constantly on the treadmill, or the guy on the ground doing hundreds of crunches or the guy who continuously does barbell curls in the squat rack. If you’re on the same path as I was, STOP! The most conventional workouts cause the body to burn the majority of the calories during the workout. 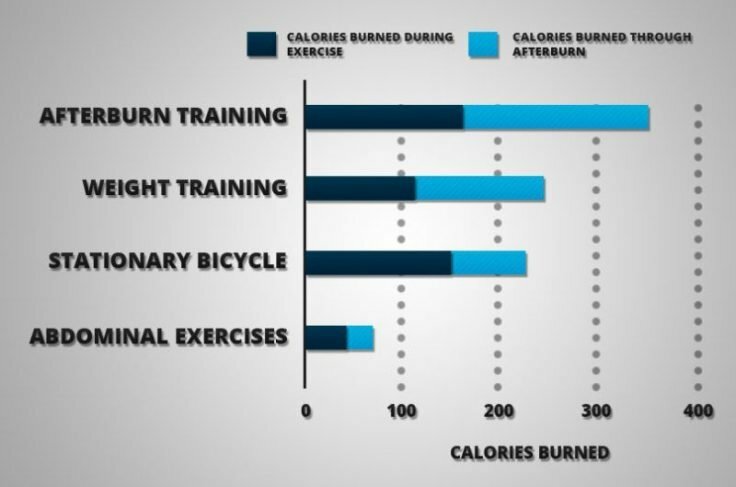 Afterburn workout causes the body to work overtime by burning calories during the workout and after the workout. When it comes to workout you already know that every minute count, so the quality is over the quantity. To ignite the afterburn effect, focus on compound exercises that require breath, intense personal strength, speed and power. So I’m talking about squats, presses, lunges, deadlifts and pull-ups. They are designed to strip away the fat and reveal your ripped and lean muscle. Barbell Front Squats x 12 reps x at least 3 sets. Pull-Ups (Neutral Grip) x 12 reps x at least 3 sets. These workouts alternate between different muscle groups while keeping rest periods short. Barbell Push-Press x 12 reps x at least 3 sets. Dumbbell Swing x 12 reps x at least 3 sets. If I can describe what complexes are, I would say they’re cardio with weights. If you’re not sweating after these workouts, your sweat glands… they’re just not there. 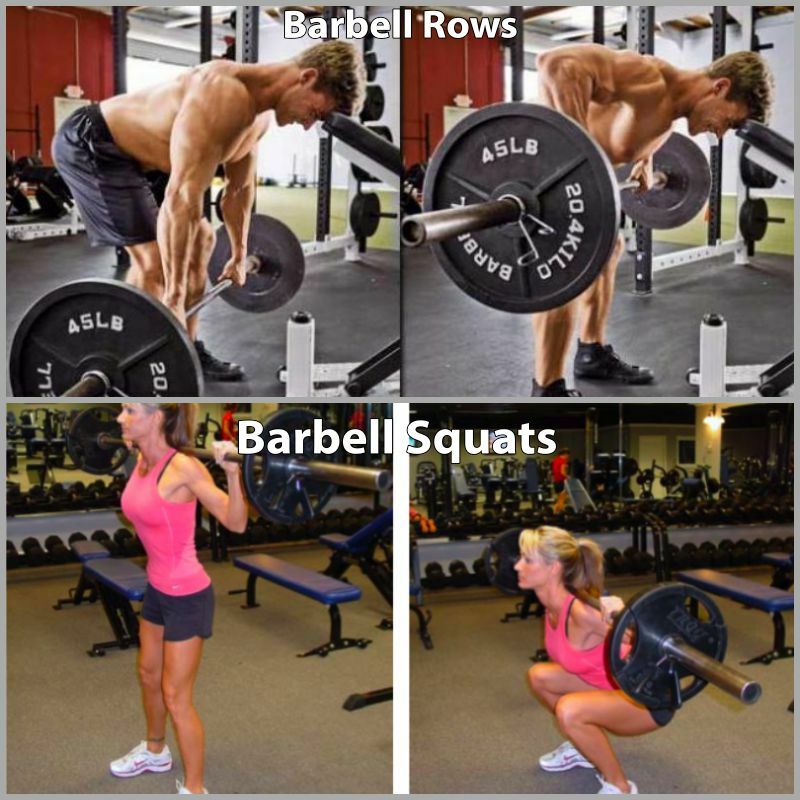 Barbell Squats x 12 reps x at least 3 sets. Barbell Rows x 12 reps x at least 3 sets. Not only you’re gonna to be burning fat while you’re building muscle, you’re also gonna be potentially building strength with this drop set protocol. Pull-Ups x reps to failure. Barbell Bench Press x reps to failure. This is a 4-minute fat-burning and metabolism boosting workout to ignite the afterburn effect. Speed Skater 30 secs x at least 3 sets. Cross Knee Mountain Climbers x reps to failure. The afterburn workout is all about recomposing your body and it’s definitely gonna work for you if you follow this style of training. 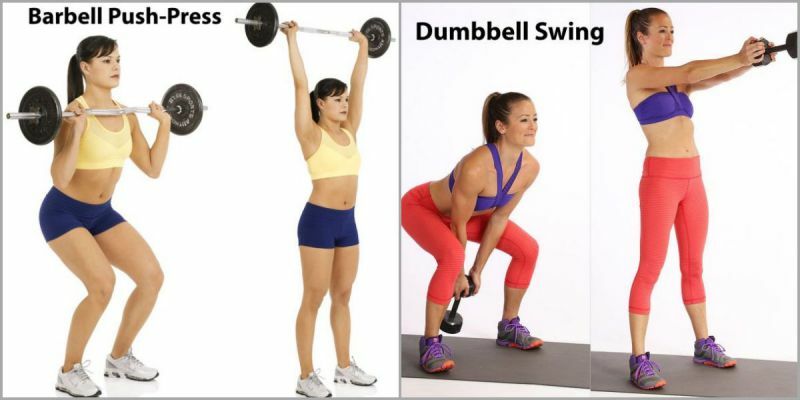 These exercises are efficient and are designed to be finished within 45 minutes using just dumbbells, barbells and your body weight. Let me know in the comment section below if you feel your whole body burning. Stay fit!